In the early 1920s, during the Russian Civil War, Clarice Lispector’s family fled what is now Ukraine for Brazil, settling in Rio de Janeiro shortly after her mother’s death in 1930. Clarice would enter the University of Brazil’s law school, one of the country’s most prestigious programs in 1937, during which time she also began working as a journalist as well as publishing her earliest known story in 1940. Her father would die months later. In 1943, Lispector’s first novel, Near to the Wild Heart, would come out to incredible acclaim from the Brazilian literary scene. Its sheer difference would be what critics lauded, claiming it was outside the language and tradition of anything published in Brazil up to that point. She would also marry her husband that same year, a man who joined the Brazilian Foreign Service after law school and whose assignments kept the married couple traveling further and further afield in the first half of her career. Shortly after the publication of Near to the Wild Heart, Clarice and her husband would move to Northern Brazil, and then to Naples. There she would write The Chandelier, only to find far less acclaim and enthusiasm than Near to the Wild Heart had enjoyed. Lispector’s life sounds disruptive and choppy because, quite simply, it was. Alienation and estrangement became constant states of being for her. After Naples would come Bern, Switzerland which she later described as having an “appalling silence” that would not be relieved until she published her third novel, The Besieged City, some years later. All these decades of traveling and displacement inevitably came to define the tone and style of Clarice’s writing; they are vividly reflected in the distance and isolation felt by her protagonist Virginia in The Chandelier. Homesickness and aimlessness also beleaguered her; no doubt these circumstances inspired the anxiety and dislocation faced by Virginia in The Chandelier while also casting a dark specter over Lispector herself. The Chandelier amplifies the lonely interior monologues and infighting that had been the hallmark of Near to the Wild Heart. At the same time, it challenges the reader even more than any of Lispector’s earlier texts: the novel becomes a proving ground, where the only way to succeed is to persevere through the long sentences and blurred boundaries between Virginia’s life and her contemplation thereof. Arriving as it does after Near to the Wild Heart, The Chandelier comes with all the freight of being a second novel—a category practically cursed in how such titles almost inevitably pales in comparison to the first work. A large part of this failure, I suspect, lies in the success of the first novel. Some artists hit gold the first time and live the rest of their careers in the shadow of that initial success. Others attempt to take what they were most interested in within the first book and push it further, in fact too far, in the second. Here Lispector struggles with both difficulties, neither of which she quite overcomes if the similarities between her first two novels are any indication. The Chandelier handles romantic relationships much as the first novel does, but without concentrating on them the way many of the early stories do. 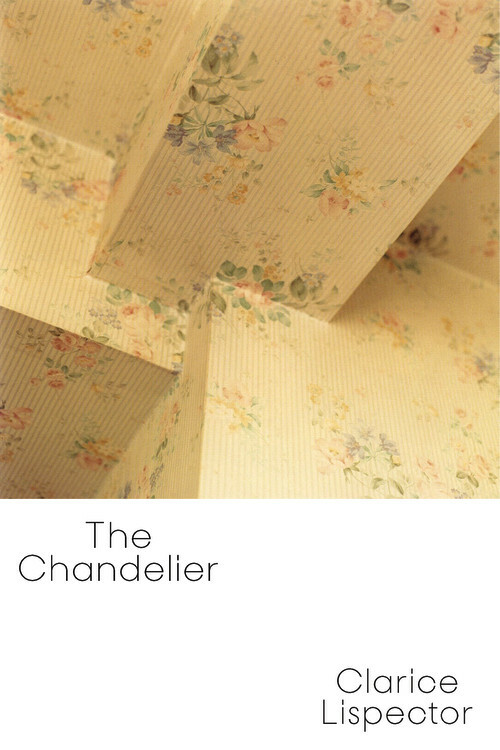 Coming out, as it does, during Lispector’s many travels with her husband, The Chandelier deals with a larger alienation and disconnect not only from society, but from other people, and even from oneself. Virginia’s monologues and internal struggles often feel more akin to the philosophical wrangling of a person struggling for the right language to wring herself out. Near the end of the book’s first part, Virginia laments how “Suddenly the words from which she lived in childhood seemed to have run out and she couldn’t find any others” as well as how words define her deepening relationship with her lover Vicente: “She started to change into Vicente’s words and sometimes she would feel that it was more than words that were transformed.” This linguistic transformation gives rise to perhaps the most convincing and joyous moment in the novel, where Virginia is able to speak “the first word of her new experience.” This crisis of identity and where Virginia sees herself within the world is at least glimpsed at in that beautiful moment between her and Vicente. In Lispector’s mental framework, Daniel is connected to the brutally physical—a man “stuck in his own body” who “detested whatever he couldn’t see”—while Virginia is aligned with the abstract and the mind’s processions: “She’d see things separated from the places where they lay, loose in space as in an apparition.” David’s impact on Virginia’s life reaches an emotional peak at the end of the childhood narrative as Virginia senses that something essential to her has been damaged and taken from her. “Without awareness she was seeing that her lightest material had been corrupted slowly, that in him the sweet suffering in which both of them were living had been annihilated.” This revelation pushes Virginia out of childhood and into an adulthood that she must construct wholly on her own. Virginia is thrust into the city at the end of the book’s first third, we see her in and out of consciousness and ruminating on her brother’s absence. We read that Daniel has moved out of the apartment he was supposed to share with Virginia. He has moved on socially, while Virginia is wracked by loneliness and forced to confront herself and her own ideas rather than conforming to those of her brother. It is at the crux that the book’s title comes to the fore, alluding to a chandelier in Virginia’s childhood home that she compares to a spider. “She would look at it immobile, uneasy, seeming to foresee a terrible life. That icy existence.” The image’s profundity is in how it suggests the dangers of her inaction just as much as the importance of pursuing her potential. This dramatic shift in location holds no such importance in Near to the Wild Heart; as such, the second novel’s emphasis on changing locales and changing mental states for Virginia seems to be a direct consequence of Clarice’s new life in Naples and in isolation from her family, friends, and the only country she knew. In addition to her brother, Virginia’s love interest also serves as a major locus of interior anxiety and stress, with an added dash of that existential threat mentioned earlier, but much of this comes out in the second half of the novel. The Chandelier emphasizes the act of creation as a way to scrutinize the true extent of one’s independence. Virginia constantly questions whether she is simply the product of others’ words and actions, or if she shapes and builds her own self and destiny. “Would seeing the truth be different from inventing the truth?” Virginia asks herself during the basement sequence while fantasizing about freedom from the circumstances of existence everyone is impacted by. Virginia describes herself at various moments as changed by Daniel or her boyfriend Vicente’s words, even as she wonders where she fits into the universe. Language plays an integral part in Lispector’s early novels as they show a break with the more traditional narrative structures of her early stories. Benjamin Moser and Magdalena Edwards’ shrewd, supple translation of The Chandelier showcases the brilliance of Lispector’s singular style and astutely unfurls the longer, more complex sentences that the author had come to use as a fundamental unit of composition. Whereas Alison Entrekin’s translation of Near to the Wild Heart showed a Clarice Lispector unafraid to thrust readers inside the mind of Joana, the style of The Chandelier depicts a richer and more complicated space within Virginia’s mind. Many critics have noted the kinship between Lispector and Joyce (whose Portrait of the Artist as a Young Man provided Lispector with the phrase “near to the wild heart”), a kinship that goes deeper than the stream-of-consciousness techniques they both deploy adroitly. The Joycean tumble so many scholars mention in describing the inkwell-drying sentences he employed in Ulysses find an analogue in Virginia’s ever-meandering, sometimes Molly-Bloom-esque consciousness. Both writers embrace the mind’s chaos, but Lispector does not force the reader to deduce where Virginia is thinking her thoughts and how that might relate to The Chandelier as a whole. This sharp divide between the physical occurrences of the observable world and the characters’ minds in Joyce and his contemporaries does not exist for Lispector. Almost all of the action occurs through Virginia’s perspective, making for a soft yet interesting distinction in Lispector’s position among aesthetic movements. What had dominated her shapes and attracted them toward a center, what had illuminated her against the world and given her intimate power was the secret. She would never know how to think of it in clear terms afraid to invade and dissolve its image…it sustained her in its unsolvable vagueness like the single reality that for her should always be the lost one. This journey differs greatly from high modernist novels that seem to undermine the entire project of achieving a complete understanding of anything. Virginia’s quest may be a difficult and perhaps doomed one, and it is for exactly that reason that Clarice’s work seems so audacious even now: she has written a three-hundred-page novel that does not simply laugh off her questing protagonist. This decisive break with Modernism’s tenets, this its rejection of an axiomatic and binary view of the world, sets Lispector closer to a kind of post-modern aesthetic. Joana and Virginia in her first two novels are not inhuman, but they are especially interested in metaphysical and philosophical questions about existence as opposed to the games, relationships, or activities that most often occupy children. These real-world components are, of course, necessary to Lispector’s work of plumbing the various questions both young women are contemplating, but an undeniable otherworldliness still permeates them both. Both are loners, and while Joana at least comes off as much better actualized and by most measures confident in herself, Virginia is a mess. The alienation and near scorn she endures later on in The Chandelier after perhaps the most humane and charming scenes with her lover Vicente dramatically build her into a person rather than a philosophical sounding board, but this does not occur until the book’s final hundred pages. After an especially auspicious evening, where Virginia describes her and Vicente laughing and enjoying each other’s company and Vicente tells her he loves her, the rest of the evening and the rest of the telling thereof takes on an abrupt chill as Vicente immediately “realized imperceptibly that he didn’t love her, that he’d loved her maybe precisely before saying: I love you.” Near to the Wild Heart’s Joana possesses some of the same qualities, but because the narrative works hard to portray her as an oddball from a young age who is forced to go through difficult life changes this volte-face does not appear as jarring as the one in The Chandelier does. Lispector’s extraordinary use of language and stream of consciousness is, oddly enough, nowhere to be found in her early stories, nor is the languorous pace of The Chandelier presaged in the brisk, short chapters of Near to the Wild Heart. Lispector’s second novel sets itself apart by pushing its readers to their limits, to the point of exhaustion, hinting at a second wind waiting for any readers who soldered onward. The many dynamic components of The Chandelier’s language and Virginia’s psyche coalesce into a constant philosophical self-reflection that unyokes Virginia from the physical realm; the work The Chandelier asks of its readers is to restore Virginia’s essential humanity to her. Lispector’s books are sui generis, but to look at The Chandelier in light of her other writings is to see what pinnacles of perfection still lay in wait for her. The power of Lispector’s heavily textured sentences and Virginia’s unbridled introspections and contemplations of who she wants to be cannot offset the fact that this three-hundred-page book would have benefited from being as economically edited as her more acclaimed works. Virginia’s monotonous ruminations often blur together; her thoughts and struggles can be profound and beautiful, but so many pages of the same rolling waves of dreamy sentences can sap even the hardiest reader’s will to dig into the work. This novel is perfect for those who already revere Lispector and want a further understanding of where her thoughts and aesthetic went after Near to the Wild Heart. Lispector's future works would maintain a better balance of psychological engagement and philosophical questions while taking better care to facilitate and encourage the reader. Brevity would become a hallmark of her style; the only other large book she later wrote was The Apple in the Dark (1961). All the rest of her later works would be compressed into tighter narratives with more distinct scenes and questions rather than a sprawling concept. The Chandelier seems to wander further into the human mind than any of Lispector’s other books, and despite its weaknesses, I think The Chandelier will reward those who enjoy challenging works about the power of the mind and about how we might grow up—without destroying who we have been, without fearing who we might come to be. Nick Oxford is a former English major trying to write something important. He also spends far too much of his free time tracking down and drinking beer.